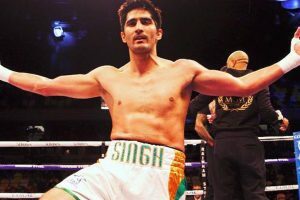 Continue reading "Floyd favourite against McGregor, says Vijender"
Vijender Singh will take on Chinese No.1 Zulpikar Maimaitiali in a winner-takes-all main event. 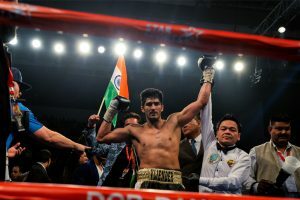 Vijender has not competed since successfully defending his title against Francis Cheka in December. 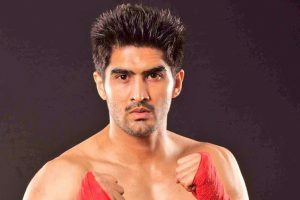 Vijender takes on the Chinese pugilist in an unification bout on August 5 in Mumbai. 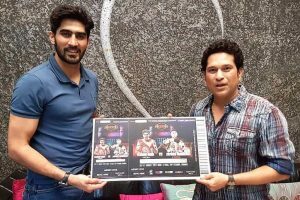 Vijender invited Sachin for his upcoming title bout at Battleground Asia. 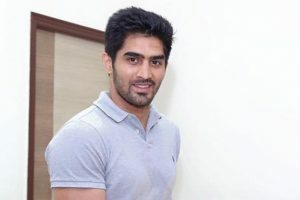 Continue reading "Vijender Singh shoots rap number with Riteish Deshmukh"
Continue reading "Vijender, Harendra honoured at DSJA annual awards"
Glitzy lights, showgirls, politicians and even godmen were present at the Thyagraj Stadium and Bhiwani's best didn't disappoint. 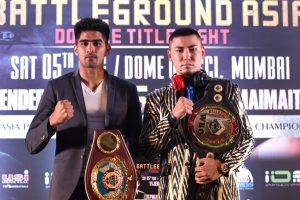 In the 10-round title defence contest, Vijender will be up against his most experienced rival so far. 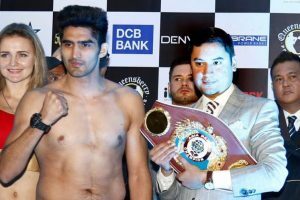 Vijender sounded confident during the pre-bout face-off against Cheka. 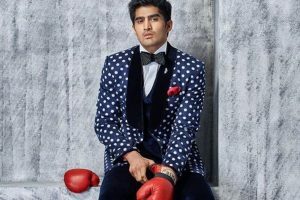 Continue reading "Online ticket sales for Vijender’s fight commences"
Continue reading "Minister meets Vijender to plan way forward for Indian boxing"